Dr. Ed Trizzino offers comprehensive dental care to patients of all ages at his practice, Smiles of Atlanta, located in Sandy Springs, Georgia. As a compassionate family dentist, Dr. Trizzino is dedicated to helping his patients to learn good dental hygiene habits from childhood and improving and maintaining their dental well being throughout adolescence and adulthood.The practice serves patients from throughout Northern Atlanta, Georgia, including the communities of Sandy Springs, Dunwoody, Brookhaven, Alpharetta, Roswell, Norcross, and Tucker. Call or book an appointment online today. A family dentist like Dr. Trizzino is trained to treat patients of all ages, ranging from toddlers to seniors. 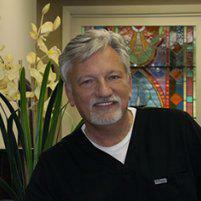 He diagnoses and treat issues and is knowledgeable about common dental issues for each age. Patients benefit from seeing the same dentist for continuity of care. Dr. Trizzino will be familiar with you and your dental needs, and he will notice any changes that indicate a need for specific treatment. For example, he monitors the dental development of children, checking for signs of alignment or bite issues that may lead to the need for orthodontic treatment. Treatment for adults varies from, gum disease, esthetic issues, to complex full mouth reconstructions. Dr. Trizzino also will address importance of disease prevention, supplement, proper body PH, breathing obstruction that could lead to sleep apnea, stress management and number of issues that could improve your overall health. How often should professional dental cleanings be performed? In most cases, you are recommended to have professional dental cleanings and checkups twice a year. Twice-yearly visits give Dr. Trizzino the opportunity to closely monitor your dental health. Regular visits contribute to an ongoing record of your dental health, which allows Dr. Trizzino to better customize your care. Also, when dental issues are diagnosed early, treatment is often less invasive and more effective. You should make your child’s first dental appointment usually after all their baby teeth have erupted at 2 or 3 years of age. It is important to introduce tooth brushing as fun game as soon as they allow. New Mother’s are informed not to let their babies go to bed with a bottle of milk or juice because it can cause severe caries.. Dr. Trizzino has special training to provide gentle care to your toddlers and children. He and his staff make every effort to make sure your child is comfortable during a checkup. Are X-rays safe for my child? Yes, the amount of radiation from a standard x-ray is small and does not put your child or you at risk. Nonetheless Dr Trizzino commitment to using technology to improve his patient care has been using digital x-ray which can reduce even that small radiation up to another 90%. Dr. Trizzino and his team take every precaution to ensure your child’s health and well being and will only take X-rays as necessary. Dental X-rays are an excellent tool for monitoring the interior health of your teeth. They are essential in helping patients of all ages, including children, maintain their oral health by identifying decay and other problems inside teeth and even in the jaws—areas that can’t be seen during a routine examination.